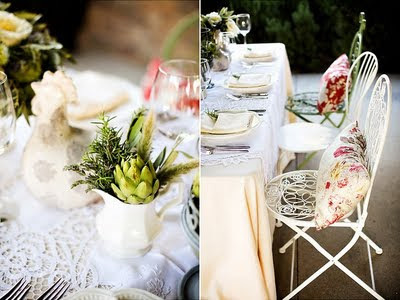 Kathryn over at Snippet and Ink is always blowing me away with her wedding inspiration. Today's post however, was above and beyond the usual-- the images practically jumped off my computer screen into an immediate must-file-for-later folder. Jasmine Star perfectly captured a French Farmhouse-inspired tablescape. 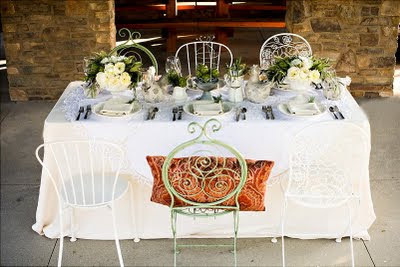 This would be an ideal alfresco dining setting for any special occasion. 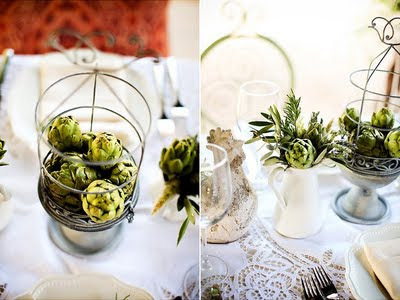 The use of ivy and artichokes in the flower arrangements are one of my favorite details, using produce in flower arrangements and as a centerpiece is not only a unique statement, but a green alternative to flowers. 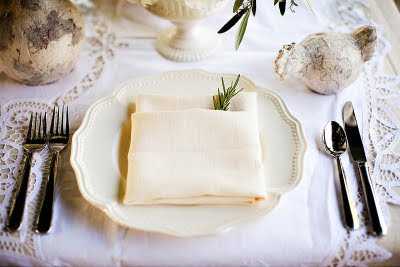 What a great tablescape- I really love the little sprig sticking out of the folded napkin. 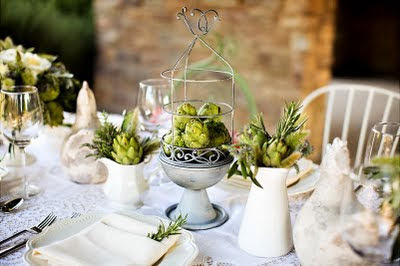 Love the pitchers with artichokes and the rosemary sprig in the napkin! Always like a green and white table. 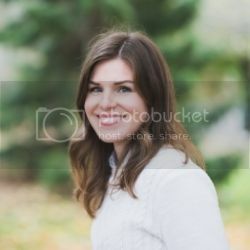 Beautiful post and I love your green tips! omg this is LOVELY! I love how the chairs aren't all necessarily the same. And the artichoke center pieces are amazing! I've been meaning to try that.